I hate that man. I don’t even know him, yet I loathe him. He’s only doing his job, I know, but he’s killing me. Look how he’s smiling. Jerk. This DVD is only about a 15 minute work out full of approximately 5,000 squats. Ok, maybe I’m exaggerating, but every single time I do this workout, beginner or advanced, I walk like a 90 year old for the next 2 or 3 days! Let’s not even mention climbing stairs. Alright, maybe I kind of like him. 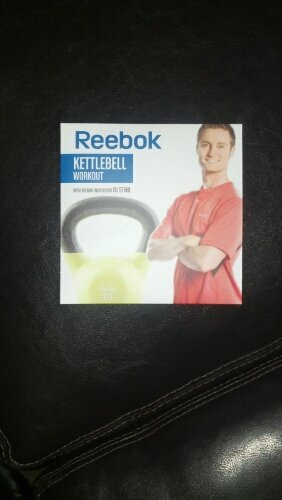 i bought a kettleball…maybe i’ll use it one of these days! Do it! They’re pretty awesome!